Being resourceful is an important value to the Co-op team. 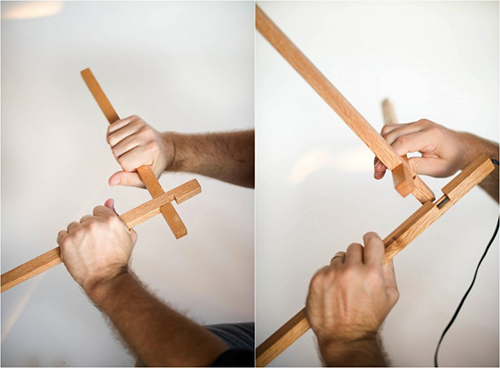 Much of the wood used by Andrew and Jared is sourced as scraps from other projects. 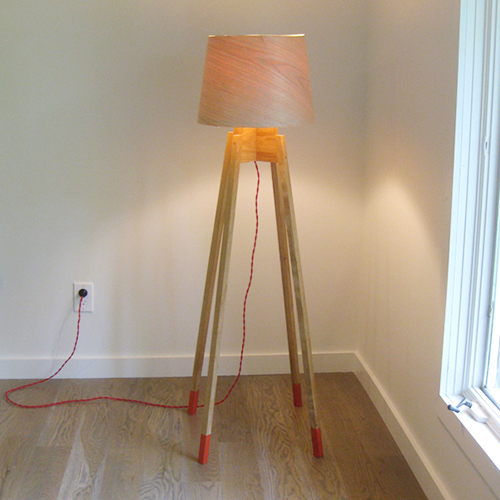 This scrap oak wood became a desk lamp, and the lamp itself was inspired by Japanese joinery. 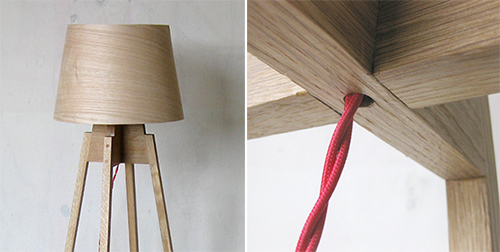 No need for glue or fasteners - gotta love that. 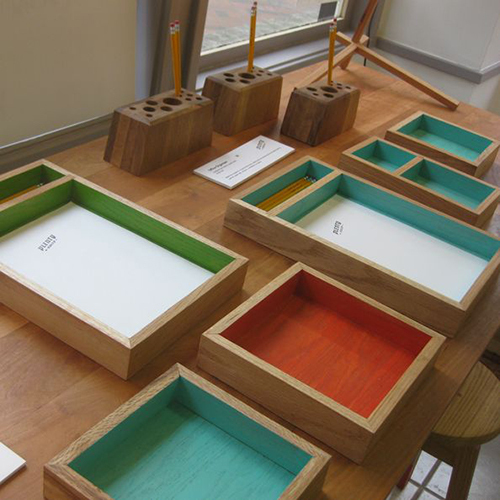 The clean, colorful pencil trays make organizing stylish, while the Right Angle tray looks great by itself or paired with another to create a full rectangle. 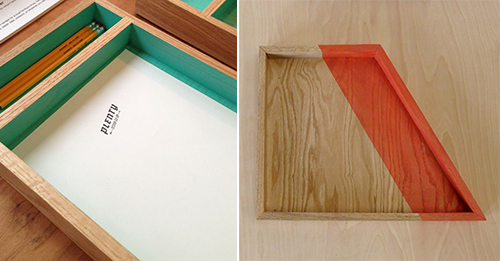 I like the idea of any of these trays hung on the wall for eye pleasing shapes and shelving. Andrew and Jared are currently working to create their own online shop to showcase all their beautifully made creations. In the meantime, contact them here for any inquiries or to request your own custom conversation piece.